Did a Drunk Driver Cause Your Motorcycle Accident? 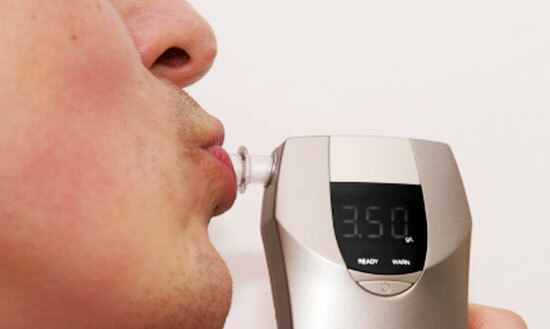 Those who drive under the influence of alcohol put all motorists at risk. In fact, drunk driving accounts for nearly 1 death almost ever 51 minutes in the United States. Even more troubling is that motorcyclists are at an increased risk of severe injury and death due to the open nature of their bikes. In the blink of an eye, another driver's decision to drink and drive can cost someone their life. If you or a loved one were impacted by the dangerous choices of a drunk driver, contact our law firm for a free consultation. Call us at 1-866-943-3427 any time, or simply complete the form located on the right. If you're interested in chatting with a live online representative, click the chat box in the bottom right. Our attorneys have decades of experience representing injured motorcyclists – no matter the cause of accident. Contact us today. When impaired drivers take to the roads, they're not just endangering themselves, but everyone else in their path. Often, motorcyclists must fight for their fair share of the road – even without worrying about drunk motorists. In some cases, a motorcycle passenger may not be aware that their driver has been drinking. This could lead to a terrifying situation that may result in a crash with serious injuries. If you were the passenger in a motorcycle accident, find more information here. Drunk driving accidents are often severe or even fatal, leaving an aftermath of confusion and devastation. Unfortunately, time is not on the victim's side. There are certain time limits on injury claims known as statutes of limitation. Act now, before it's too late. Evidence can disappear quickly after an accident. When you contact our law firm, our team of investigators gets to work collecting evidence, documenting the scene, interviewing witnesses, and more. Call now at 1-866-943-3427 for your free legal consultation. We're available any time. For over 35 years, our law firm has fought for the rights of injured motorcyclists. When an accident has robbed you of your quality of life, your job, and your wellbeing, our attorneys will fight to get you the compensation you deserve. Get your free legal consultation now at 1-866-943-3427, or complete the form located in the top right. We're available 24/7, and we're ready to help with your motorcycle injury case. You can also chat with one of our representatives by clicking on the box in the bottom right.